The band began making it’s baby steps by the spring of 2012. Gradually it became obvious that there was nothing to lose if the barrier was set higher. So, in November of 2014, O.Y.D. traveled to Nashville, Tennesse to record their debut album entitled “Deep Breath”. The winner of two Grammy awards Toby Wright sat behind the console of Sound Emporium Studios and Andrew Mendelson took care of the mastering process. The album eventually came out a year later under the Chicago based label “Pavement Entertainment”. After several positive reviews by European and American sites as well the band moved on to a series live shows; such was the one where they supported Comeback Kid at Principal Club, Salonika. By 2018, the time for the successor of “Deep Breath” had arrived. 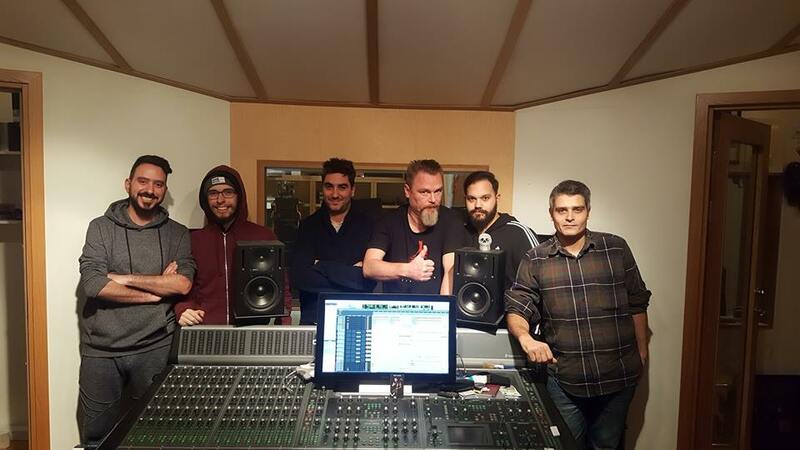 In November 2018 O.Y.D traveled to Gothenburg,Sweden (Fredman Studios) to meet Fredrik Nordström who would be the producer of the second album, “Indigo”. This time the band decided to present a faster, heavier, more aggressive character. Currently O.Y.D. are all set for the release of the album (out in March 2019 by Ikaros Records) and the dates of the shows to follow are soon to be announced.